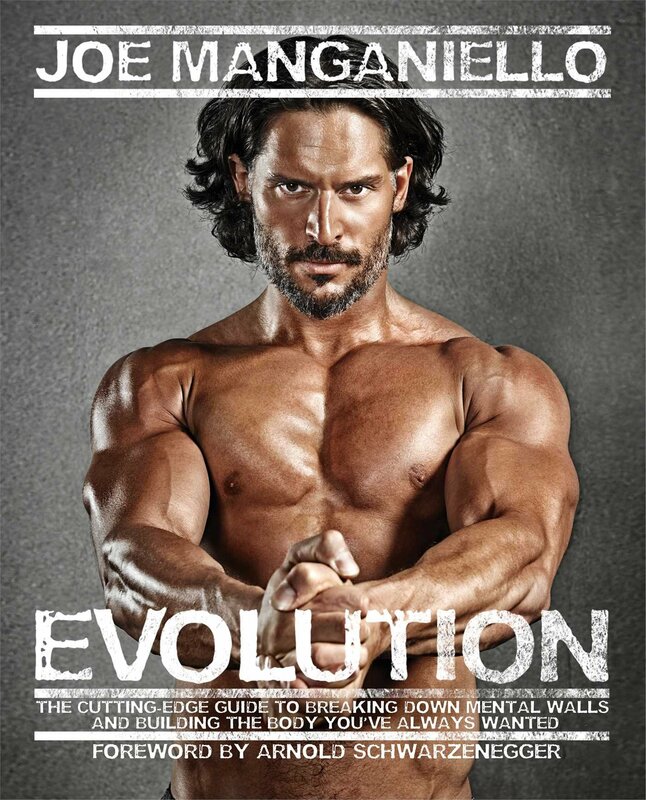 Joe Manganiello became a household name by playing a werewolf in HBO’s True Blood, and a stripper in the Magic Mike movies. Next month he’ll play Hefty Smurf in the big-screen adaptation of the children’s cartoon. It’s just the latest in a turn toward family-friendly fare. 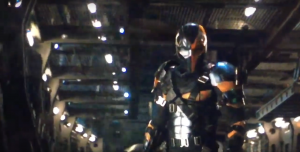 Here, Manganiello dishes on broadening his appeal and what he’s doing to get ready for his role as Deathstroke opposite Ben Affleck in the upcoming Batman movie. Robert Irvine Magazine: You play Hefty Smurf in Smurfs: The Lost Village (in theaters April 7). How did that come about? 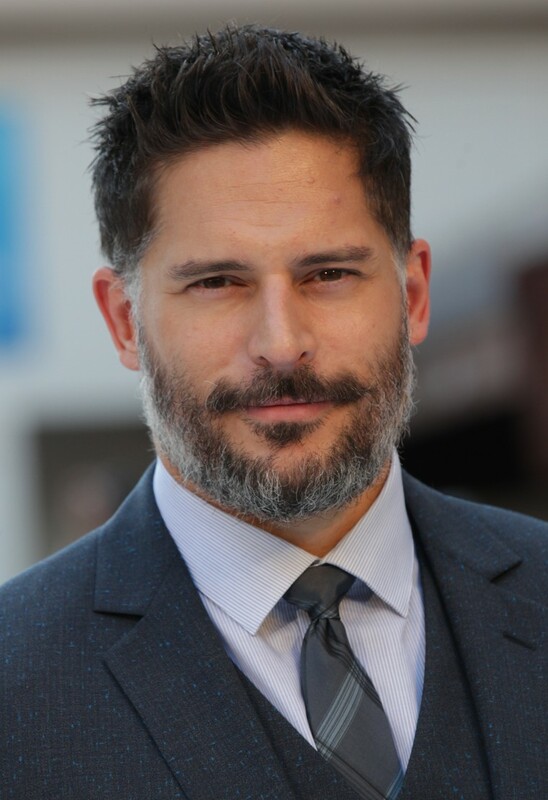 Joe Manganiello: It came about through Sony. They called me in and pitched me the character and showed me a bunch of the artwork and ran me through the story. I said yes because I was such a huge fan and watched it growing up. I thought the character they described sounded like so much fun. I went through this period of my career where it was all adult-oriented programming—True Blood, Magic Mike. I do a lot of work with Pittsburgh Children’s Hospital, I’m on the board of trustees, and the kids weren’t ever allowed to see anything I was in. I would go to visit the hospital and all the adults would know who I am but the kids have no idea. And I have two-and-a-half year-old niece and two-year-old nephew and I started thinking about wanting to do things that they could see and would enjoy. This seemed like the perfect opportunity to do that. If you look at some other things I’ve done recently like Pee-Wee’s Big Holiday (on Netflix) and Blaze and the Monster Machines (Manganiello was a guest voice on the Nickelodeon cartoon) there’s been a real turn to kid-friendly stuff, especially too with Batman coming up. 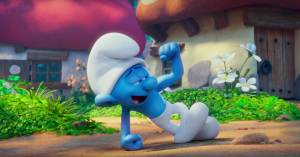 Smurfs is a return to the Peyo artwork; he’s the Belgian artist and painter who created the Smurfs. That was the influence for the cartoon and comics when we were kids. The drawings of Hefty – they sparked a lot of creativity in me. I immediately had an idea of where I wanted to take the character. RI: Being a board member of the Pittsburgh Children’s Hospital—is your role largely ceremonial or is pretty involved? JM: I have an involved role. I’ve been working with the hospital for years, everything from organizing events,and fundraisers to visiting the hospital, meeting with the heads of various departments, the president of the hospital, and brainstorming ways to get publicity out about the hospital. Because it’s not just about Pittsburgh. Pittsburgh Children’s Hospital also monitors other hospitals in the United States and in other countries. They have a monitoring hub, called telemedicine department, monitoring other hospitals in other countries that might not have the information and technology that PCH has, and they’ve been able to lower mortality rates, post-op, in some cases, 40, 50, 60 percent, which is really life-changing for other hospitals in other parts of the world. I hosted a gala event last year where we raised $12 million in one night, which is kind of amazing. It’s where I grew up and it’s a great way for me to stay involved in my community—and, with the technology, stay involved with the world. It’s not just about Pittsburgh. It helps make a change in the world. RI: How is your training going right now? 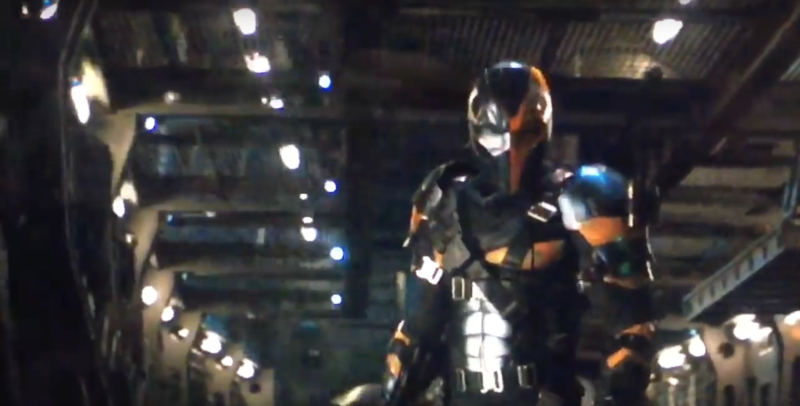 Are you focused on playing Deathstroke in the Batman movie, or is that too far off? JM: No, I’ve started. My trainer and I have started putting together some workouts that are specific to the character and how I want the character to move. It’s an incredibly athletic role so all of the training is very functional. I’ve also started Kung fu and chi gung training, and I’ve also started working with katanas. RI: How do you feel with the katanas? Pretty good? JM: I’m gonna be ready. RI: Robert and his wife Gail get to the gym together a lot. Do you do that with your wife (Sophia Vergara) or is your training time your own time? JM: I don’t think it has to do with my time/her time. My workout is just so different from my wife’s workout. She’s not trying to max deadlift. She’s not cleaning and split-jerking. Her workouts are very different than mine. RI: If you think back 10-15 years, what are the key differences between the way you trained then versus the way you train now? Are you more mindful of wear-and-tear on your joints? JM: The main difference, now that I’m 40, is that I can go harder than I’ve ever gone in the past in terms of cardio, the intensity is ratcheted up probably times 10. I’m lifting heavier than I ever was. I am constantly achieving new heights in terms of max. I’m more mindful in terms of taking care of myself. I’m definitely more mindful in terms of nutrition, proper rest. As far as physical or muscular maturity, I love this period of my life, this particular age. I also have to say my trainer of the last 8 years or so, Ron Mathews, is the Masters Champion in CrossFit. My trainer holds the title of is the fittest man in the world over 45. He’s 47 and is continually getting stronger every year. I have that as my model. I’m also a Steeler fan. We’ve got an outside linebacker, James Harrison, who is fast approaching 40, who is getting stronger every year. There is going to be a trend over the next 10 years where you’ll see a lot more professional athletes playing into their 40s because we know how to take care of ourselves via sleep and nutrition better than we ever did. That’s the biggest thing for me with my age. RI: You’re now entering the DC Extended Universe, which includes Man of Steel, Batman V Superman, and Suicide Squad– those movies have been successful, but have had a very rough time critically. JM: As far as what other people think, I can’t comment, I’m just me. I’m very excited for this role. I’m very excited to be working with the people I’m going to be working with. I’ve known Jon Berg (producer) prior to joining the DCEU. I met everyone, Zack Snyder included, when Man of Steel came out. I’ve known them all for years and I’m very excited to work with everyone. Ben Affleck makes great films and he’s a great Batman. Geoff Johns certainly is a really fun guy to hang around with and has a great grasp on this steering wheel that is the Titanic of the DCEU. Knowing what they have planned for the future, I think fans are really gonna love. There were a lot of superhero and supervillain roles that came my way and my gut said those were not the right fit for me. This one was perfect. This was exactly what I was looking for. RI: What’s one piece of motivational advice you’d want to share with readers—for fitness or for general success in life? JM: I have a book that came out in 2013, Evolution. It’s just about showing up for yourself. You don’t have to be the greatest bodybuilder of all time. Every workout doesn’t have to be the greatest workout you’ve ever had. You just need to be consistent. You need to show up for yourself, and that is a mental challenge. The reason people don’t achieve their goals isn’t because they don’t know how to lift something. It’s because they don’t show up for themselves. It’s because they listen to that devil on their shoulder that says not to show up. Have a good plan and be consistent. With the book, I gave people the good plan. I tried to also give the inspiration to get them up and get them moving and to be consistent. Hopefully the book does that and gets them to understand that you’re not going to walk into a gym on Day One and get ripped. We’re all coming from somewhere, skinny or overweight. There’s always going to be someone who’s in better shape than you, and always someone in worse shape than you. It’s about showing up and becoming the best you possible. People say they don’t have time. I say, “Well, one of my best friends was governor of California. Somehow he found time to work out every day.” You make it happen. You do it. You just make time for yourself. And your life will change. I’m living proof. My life changed. I started bodybuilding when I was 13 years old. I was a skinny, scrawny kid, couldn’t do one pullup, couldn’t do one dip. I just made it my business and it changed my life and it continues to change my life. I’m 40 years old and I’m in the best shape of my life and it’s because of that. 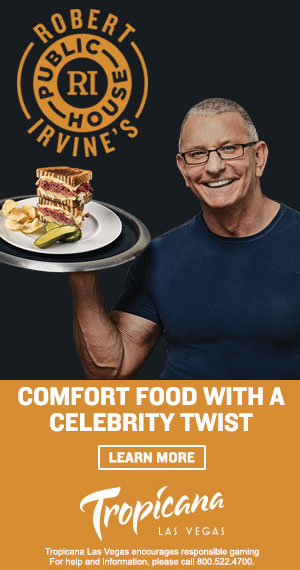 This article was originally published in Robert Irvine Magazine. Download the full issue for free by clicking HERE. 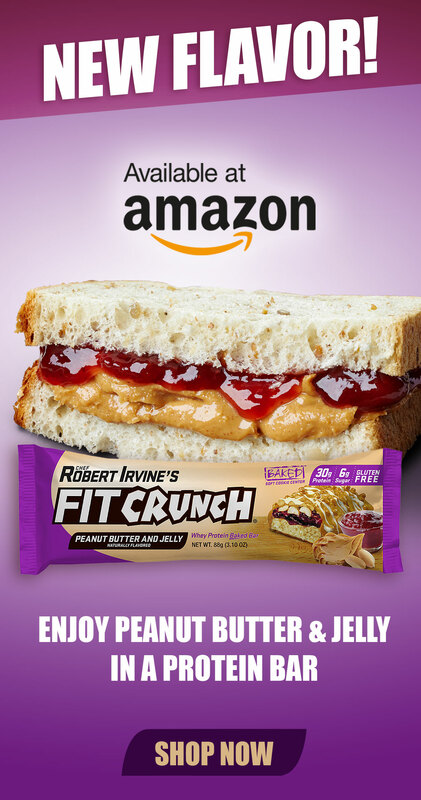 You can buy Joe’s book on Amazon by clicking HERE. Visit his website HERE.